In this article, I’d like to take a shot at convincing you that using Vue.js (referred to as Vue from here on), even for relatively basic projects, doesn’t have to be a headache, and will help you write better code faster. We’ll take a simple example, code it up in jQuery, and then recreate it in Vue step by step. 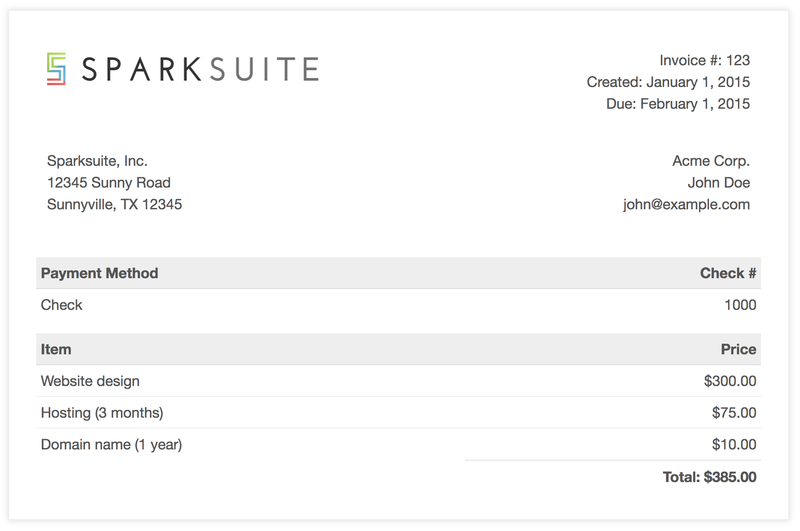 For this article, we’re going to be building a basic online invoice, using this open-source template from Sparksuite. Hopefully, this should make a refreshing change from yet another to-do list, and provide enough complexity to demonstrate the advantages of using something like Vue while still being easy to follow. We’re going to make this interactive by providing item, unit price, and quantity inputs, and having the Price column automatically recalculated when one of the values changes. We’ll also add a button, to insert new empty rows into the invoice, and a Total field that will automatically update as we edit the data. So, first of all, let’s take a look at how we might do this with jQuery. This function looks for all item rows in the table and loops over them, passing each row to a calculateSubtotal function, and then summing the results. This total is then inserted into the relevant spot on the invoice. In the code above, we’re grabbing a reference to all the <input>s in the row and multiplying the second and third together to get the subtotal. This value is then inserted into the last cell in the row. We’ve also got a little helper function that we use to make sure both the subtotals and the total are formatted to two decimal places and prefixed with a currency symbol. Lastly, we have a click handler for our Add row button. What we’re doing here is selecting the last item row and creating a duplicate. The inputs of the cloned row are set to default values, and it’s inserted as the new last row. We can also be nice to our users and set the focus to the first input, ready for them to start typing. See the Pen jQuery Invoice by SitePoint (@SitePoint) on CodePen. So what’s wrong with this code as it stands, or rather, what could be better? You may have heard some of these newer libraries, like Vue and React, claim to be declarative rather than imperative. Certainly looking at this jQuery code, the majority of it reads as a list of instructions on how to manipulate the DOM. The purpose of each section of code — the “what” — is often hard to make out through the details of “how” it’s being done. Sure, we can clarify the intent of the code by breaking it up into well-named functions, but this code is still going to take some effort to mentally parse if you come back to it after a while. The other issue with code like this is that we’re keeping our application state in the DOM itself. Information about the items ordered exists only as part of the HTML making up the UI. This might not seem like a big problem when we’re only displaying the information in a single location, but as soon as we start needing to display the same data in multiple places in our app, it becomes increasingly complex to ensure that each piece is kept in sync. There’s no single source of truth. Although nothing about jQuery prevents us from keeping our state outside the DOM and avoiding these problems, libraries such as Vue provide functionality and structure that facilitate creating a good architecture and writing cleaner, more modular code. So how would we go about recreating this functionality using Vue? The only option we need to provide here is el, which is a selector (like we would use with jQuery) identifying which part of the document we want Vue to manage. We can put Vue in charge of anything from the entire page (for a single page application, for example) or a single <div>. For our invoice example, we’ll give Vue control of the HTML table. The data property is where we store the state of our application. This includes not only any data we want our app to work with, but also information about the state of the UI (for example, which section is currently active in a tab group, or whether an accordion is expanded or contracted). Vue encourages us to keep our app’s state separate from its presentation (that is, the DOM) and centralized in one place — a single source of truth. Now let’s set up our template to display the items from our data object. As we’ve told Vue we want it to control the table, we can use its template syntax in the HTML to tell Vue how to render and manipulate it. Vue will repeat this markup for each element of the array (or object) that you pass to the v-for construct, allowing you to reference each element inside the loop — in this case, as item. As Vue is observing all the properties of the data object, it will dynamically re-render the markup as the contents of items change. All we have to do is add or remove items to our app state, and Vue takes care of updating the UI. Here we’re using the v-model attribute to set up a two-way binding between the inputs and properties on our data model. This means any change to the inputs will update the corresponding properties on the item model, and vice versa. Now we have our template set up to render out our items collection, but how do we go about adding new rows? As Vue will render whatever is in items, to render an empty row we just need to push an object with whatever default values we want into the items array. Note that any methods we create are automatically bound to the Vue instance itself, so we can access properties from our data object, and other methods, as properties of this. Vue also provides a shortcut for us so we can use @ in place of v-on:, as I’ve shown in the code above. For the handler, we can specify any method from our Vue instance. As you might already have noticed, computed properties can be treated as if they were data; we don’t have to call them with parentheses. But using computed properties has another benefit: Vue is smart enough to cache the returned value and only re-evaluate the function if one of the data properties it depends upon changes. If we were using a method to sum up the grand total, the calculation would be performed each and every time the template was re-rendered. Because we’re using a computed property, the total is only recalculated if one of the item’s quantity or price fields are changed. You might have spotted we have a small bug in our implementation. While the unit costs are whole numbers, our total and subtotals are displayed without the cents. What we really want is for these figures to always be displayed to two decimal places. Rather than modify both the code that calculates the subtotals and the code that calculates the grand total, Vue provides us with a nice way to deal with common formatting tasks like this: filters. See the Pen Vue Invoice by SitePoint (@SitePoint) on CodePen. The UI is declarative: you only need concern yourself with what you want to see, not how to manipulate the DOM to achieve it. The size (in KB) of both libraries is almost identical. Sure, you could slim down jQuery a bit with a custom build, but even with a relatively simple project such as our invoice example, I think the ease of development and the readability of the code justifies the difference. Vue can also do a lot more than we’ve covered here. Its strength lies in allowing you to create modular, reusable UI components that can be composed into sophisticated front-end applications. If you’re interested in delving deeper into Vue, I’d recommend checking out Getting Up and Running with the Vue.js 2.0 Framework.